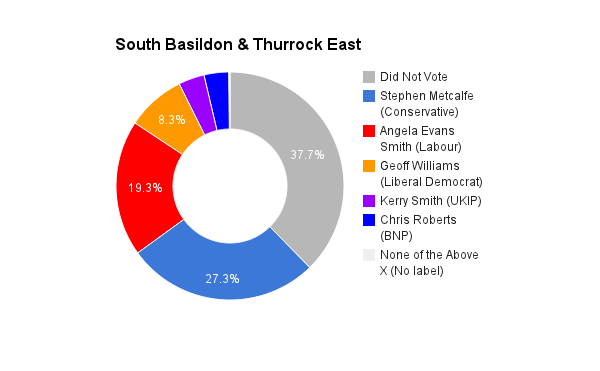 South Basildon & East Thurrock is a constituency in county of Essex. The seat was created in 2010. The current member of parliament is the Conservative Party’s Stephen Metcalfe who has represented the constituents since its creation.